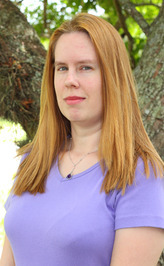 Allison Kraft lives in west central Florida with her family and four cats. She taught herself how to read at the age of three (with a little help from PBS) and has been a devourer of books ever since. In college, she discovered that, as much as she loved to read about vampires, witches, ghosts and time travel, writing about them was even more fun! Her first novel, Destined, is a time travel romance set on the Titanic, another long-time obsession of hers. Look for me during Pet Week! Wow, it’s been a long time since I’ve blogged. I guess the holidays and day job have kept me busier than I realized. Well, I’m about to come out of hiding for a short time, to support a great cause and do something I really love: talk about my cats. We’d love your help. Let us know what’s wrong with this preview of Delusion in Death by J.D. Robb. We’d love your help. Let us know what’s wrong with this preview of The Age of Miracles by Karen Thompson Walker. We’d love your help. Let us know what’s wrong with this preview of Dark Inside by Jeyn Roberts. We’d love your help. Let us know what’s wrong with this preview of Now You See Me by Sharon J. Bolton. We’d love your help. Let us know what’s wrong with this preview of The Second Empress by Michelle Moran. We’d love your help. Let us know what’s wrong with this preview of Destined for an Early Grave by Jeaniene Frost.